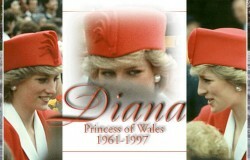 Updated 8/31/17 – August 31st marks the 20th Anniversary of the death of Diana Princess of Wales. I mark this date with some kind of remembrance post every year. I have always admired Diana and the work she did and, I know it’s silly but, after meeting her in 1986 (and I use the term ‘meet’ rather loosely), I even felt closer to her. One can only imagine all the good work she would have likely done over the years had she not died so young, many still miss her and I count myself as one! This photo, the first in the slideshow below, is something I put together from photos I took myself of Princess Diana in 1986 when she opened Expo 86 in Vancouver. 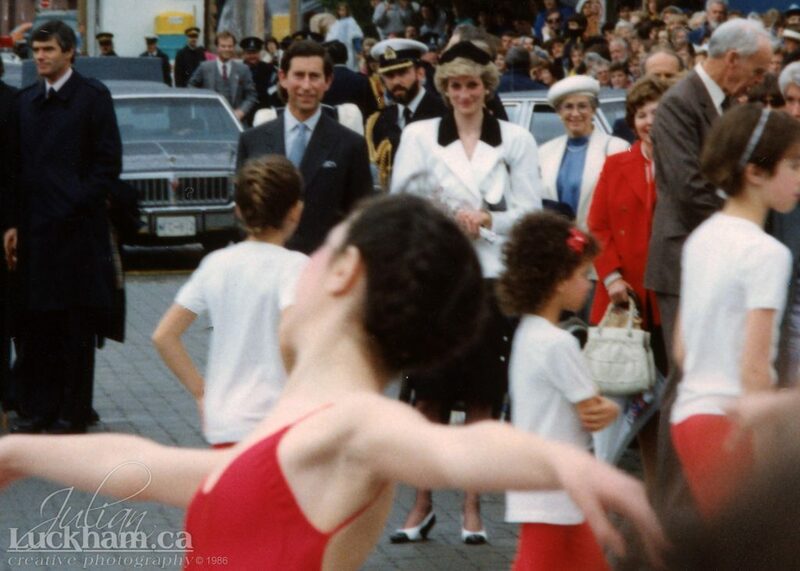 When Prince Charles and Princess Diana visited Vancouver to open the 1986 World Exposition I went down to a few of the locations they were visiting and managed to take quite a few photos. On one occasion I decided I wanted to try to meet her, at the very least shake her hand. So, I went down to Granville Island and took a banner I made that said ‘Cymru am Byth’ (Wales Forever), I’m half Wesh. Charles was the one who spotted my banner and pointed me out to Diana, and they did come over. I wasn’t holding up the sign at that point, so I don’t know if she realized I was the one holding it, but I did get a lovely smile and shook her hand! The next photo in the slideshow is of The Angel of Truth, part of the Victoria Memorial out front of Buckingham Palace in London. Caitlin and I visited the Palace before taking The Diana Princess of Wales Memorial Walk through Hyde Park. The walk leads to the Princess Diana Memorial Fountain. The plaque you see is also marked for The Canadian Memorial and Buckingham Palace, being near both. The next photos are just taken in Hyde Park as we made our way to the fountain. Caitlin dipped her feet in the waters at the Princess Diana Memorial Fountain… I was not so brave and just dipped my hand. I then added a few photos from my previous visit to London of the fountain and surrounding area including some photos of the famous Peter Pan statue in Kensington Park. I wrap up the slideshow with a few more photos that I took in Vancouver back in May of 1986. 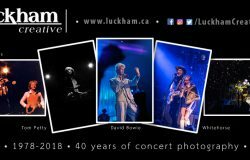 Click on the play button below, I hope you enjoy looking through these photos and remember Diana and the incredible person she was!